We were at the Atlassian Summit in Barcelona, earlier this year. 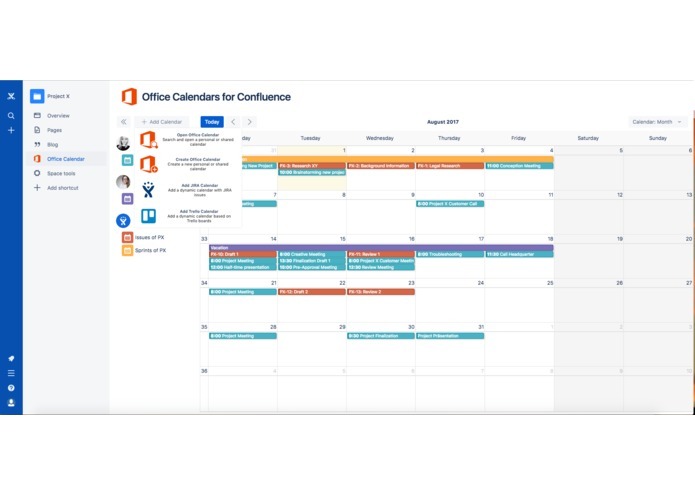 As we talked with customers and partners about our Microsoft Outlook app for JIRA, we heard one request a lot: Please build a calendar add-on for Confluence. This would allow to better plan projects, by overlaying all relevant dates - from personal calendars to JIRA due dates. In addition, Confluence is used for meeting agendas & notes very often, so this would be a natural fit. 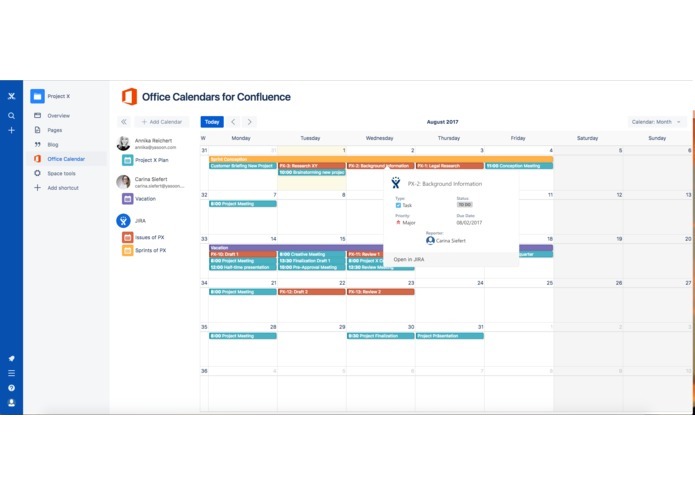 Office Calendars for Confluence enables you to open Office calendars directly in Confluence in a simple and familiar look and feel. It provides all the scheduling benefits Outlook offers and you can also overlay due dates of JIRA issues or sprints. Just open the calendars of the involved team members in Confluence and see all information about events, different projects or travel plans at a glance. 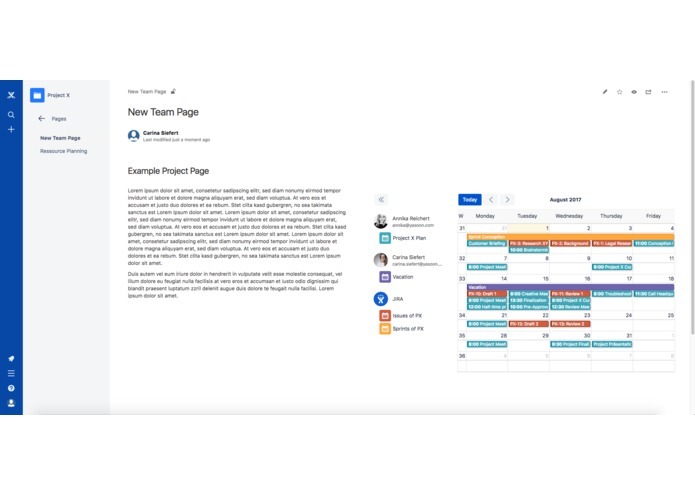 There is one calendar view for each space, so you can configure it the way it fits best for each project. In this space, each team member will have the exact same view on the calendar information. Of course it's also possible to use the included macro to add calendars to a Confluence page! The calendar information is always up-to-date and because events are stored on Office 365, it runs smoothly and without any struggle. You can easily schedule new meetings & project dates - and have them synced to your Outlook without any extra effort! Our JIRA and Trello overlays allow you to view all relevant project dates (sprints, due dates, releases) in one place. 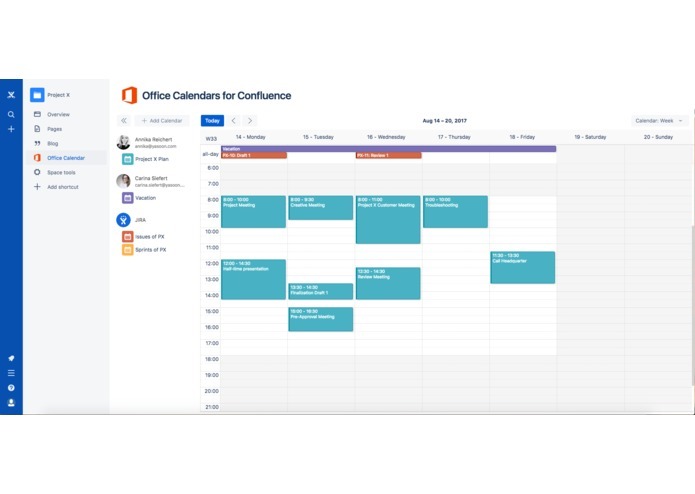 We built Office Calendars for Confluence using a modern web stack @ ConnectWeek Austin. The front-end is built using React and the Atlaskit UI components. Backend is built using node.JS on AWS. We had two major challenges when building our calendar. The first was integrating the events from the Office API's. Microsoft has different access points to the calendar data, and we needed to access all of them, to get all the information we need. Luckily, someone from Microsoft joined us at ConnectWeek in Austin to clarify a lot of issues and give us some tips on using the different APIs. We'll do a write-up on all the technical things in a later blog post! The second major challenge was working with React. We haven't used this before, but wanted to make sure we use the same front-end technology as Atlassian. So we needed to learn a new framework and already apply our knowledge in a short time-frame - challenging! We are yasoon, a small software start-up from Mannheim (Germany). Our aim is to close the gap between Atlassian and Microsoft products by providing reliable integrations. We have big plans for our calendar! Our first priority will be polish & feature extensions around meeting planning. We'll be integrating meeting notes & meeting agendas to the scheduling function. Afterwards, we will work on making it available on Confluence Server, as well for on-premise deployments of Microsoft Exchange. Last but not least, we'll make sure that you always have all your project-relevant dates in one place - we are in talks with Tempo and other add-on vendors to integrate even more dates!